So I know just about nothing when it comes to politics. Granted I understand the stock market and car mechanics even less, but the section for understanding politics is definitely missing out of my brain. Luckily the saving people’s lives, making peanut butter and jelly sandwiches, dealing with intoxicated patients, and playing hide and seek, areas seem to be enhanced. I will say that I do know enough about car mechanics that when a light comes on in the van, I call my husband and tell him that something needs to be fixed. And I know that when the car quits or something to call him and cry. That’s the extent of my knowledge, which so far has been adequate. But I’m trying to learn. You see, my good friend Melanie’s dad is running for governor. Her daughter and Leighton have decided that they are going to get married (nice to have those big complicated life decisions handled when you are four, don’t you think?). And since Melanie is a good friend and I want to support her, I’m trying to help. Which is what brought me to last Saturday driving the van to meet at a school so we could get petitions signed. So I’ve learned that to even get on the ballot a lot of people have to sign petitions and then someone has to verify all those signatures and then if the signature checkers determine that enough ink has been spilled, then you get to be on the ballot. And that’s just to get on the ballot for the primaries. First let me tell you that I was slightly terrified. While I’m totally comfortable talking to someone about their deepest darkest medical and personal secretes in the middle of an emergency room, talking to a complete stranger makes me want to run. And run far and fast. (I should remember that when I’m in the midst of my training…). Melanie assured me that she would go with me and help me figure out how to talk to strangers. The weather was not in our favor that day, and so after evaluating that, and meeting another friend, it was decided that I would drive to the houses and Melanie and her other friend would jump out and talk to the people and I would look up the next houses and go from there. 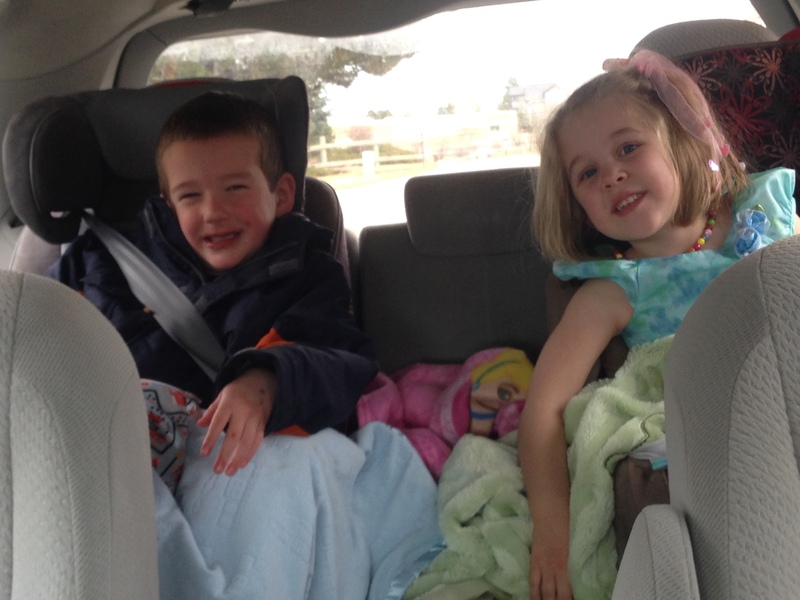 We had the two kids in the back of the van and so I intermittently entertained them too. If they do end up getting married many (MANY) years from now, they can talk about their first date in the back of the van. Katherine even dressed up and wore a pretty dress for it. How many people can boast a first date while still in booster seats and eating gold fish crackers, doesn’t get much better then that does it? In between stops I got to ask Melanie a lot of questions about the process and how it all works. I’m still have a long ways to go, but I’m learning and kind of enjoying the process along the way.